First off, I should mention something Blizzplanet reader “MaybeHitler,” tried to inform me of in the comments of the first article. It turns out that while the “Void Elf” race uses the night elf log in and character creation screen data, it’s tied to a model which uses blood elf animations. WoWhead, in their coverage of the chrraces file, was able to datamine the model itself. Void elves use the blood elf model but without any skin textures. Two things can be drawn from this discovery. The void elf file is not a simple issue of Blizzard copy and pasting data from another race, as its a mixture of night elf and blood elf. Second, if void elves use blood elf animations but are listed under the alliance character creation screen, then my theory that they are some form of void-using high elves has strengthened. On MMO-Champion’s Official Patch 8.0 Speculation thread, dataminers looked deeper into the four new entries to the chrraces file and uncovered more connections with playable races. Default classes also seem to be set for the 4 “new” races. No surprise there, but this is also set for all known playable races. In addition to the character backgrounds that were mentioned in the post above, they also have default low-res faction backgrounds for when the race specific backgrounds haven’t been downloaded yet. Again void elves stand out for not having the default class of their log in screen parent race, night elves, which have druids as their default class. It’s also been noted that no highmountain tauren or nightborne NPCs currently in-game use these races, being considered regular tauren or not having a race designation at all in the nightbornes’ cases. Lightforged draenei NPCs are labeled as belonging to the new chrraces entry, however. While the above could make the case for subraces even stronger, not everything uncovered points this way. MMO-Champion’s post on the subraces brings with it evidence in the opposite direction as well. Notably, the new races are not assigned race/class combinations outside of the default classes mentioned above, “other linked files” do not contain data that match them being playable, and “all four entries are flagged as being unplayable, set to a Neutral faction, and have reputations linked to existing reputations in the game.” At this point the evidence is strong enough to lean either way, and unless some major feat of datamining is accomplished I doubt we’ll have an answer until BlizzCon. But as I mentioned at the start, there’s been another news item relating to the next expansion this week. Christie Golden’s next World of WarCraft novel finally has a title and plot summary. Both of which are very interesting. Despite the short description and unfinished cover, there’s a lot to unpack here. 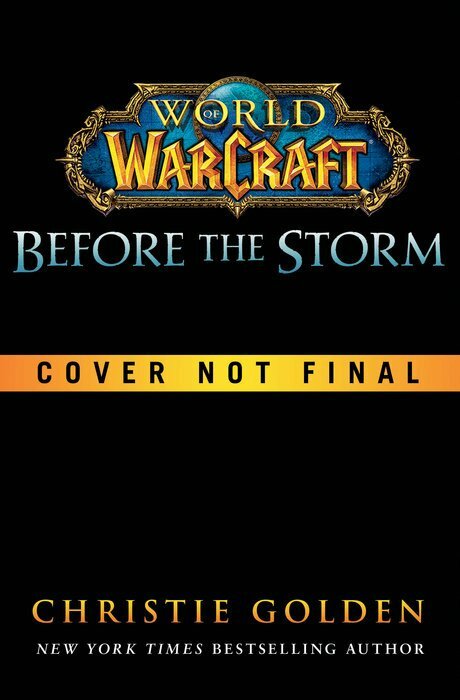 From the summary its clear this novel is meant to be a direct lead-in to the next expansion, much like The Shattering: Prelude to Cataclysm, Jaina Proudmoore: Tides of War, War Crimes, and Illidan before it. Of those four, three were written by Christie Golden. Knowing that the novel will serve as a prequel to expansion seven, we can look into the title. The naga are a perfect fit, but as I said, someone else close to the seas, who has been getting a lot of pre-BlizzCon publicity, has a connection to the storms: Jaina Proudmoore. Few recall, in fact before this I didn’t think Blizzard even remembered (and they still might not), that Jaina has the Storm-Stave of Antonidas, a staff imbued with all the powers of the Thunder King. We created it for her back in Mists of Pandaria, during the quest Securing a Future. Whatever its meaning, we can be sure that a storm is coming to Azeroth, both figurative and literal. 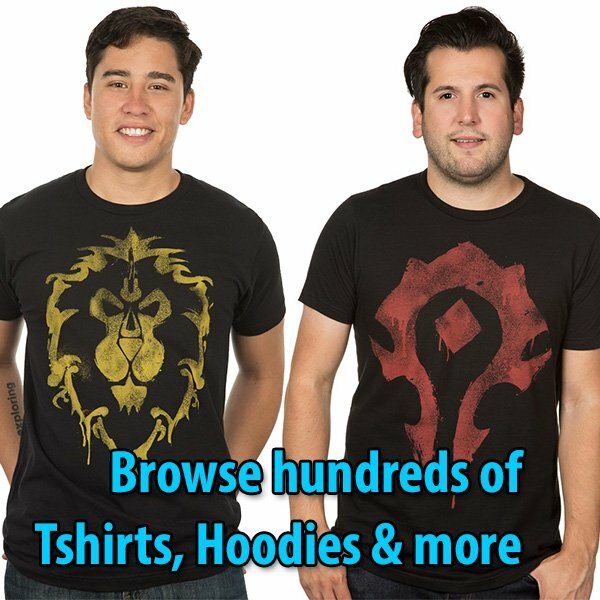 Maybe the nightborne, lightforged draenei, highmountain tauren, and void elves will be drawn into the Alliance and Horde by this same conflict? Or maybe I’ve misinterpreted the evidence. After Mists of Pandaria and Warlords of Draenor nothing Blizzard does would surprise me. We’ll know for certain very, very soon.